Back to books, the books I feel set me on the course I’m most completely set upon now. The Happy Hollisters! Remember The Happy Hollisters? You don’t? Really? Well, honestly, I vaguely remember them but when I would stay after school, waiting to be picked up by my parents (I was still too young to walk home), I would help Sister Edwards and after I got done erasing chalkboards and cleaning erasers, I’d get to sit in her classroom and read. There weren’t many books in there but I latched onto the Happy Hollisters. These were mild mysteries involving a family of five kids, Pete, Pam, Ricky, Holly, and Sue. The kids ranged in ages from 4 through 12 and they were all amateur sleuths. I thought they were cool. I don’t remember how many of these books I actually read, maybe only one or two, but I was hooked! Mysteries were destined to play a huge part of my life and I didn’t even know it yet. Click on the pic to visit the Happy Hollisters website! If you do remember The Happy Hollisters and if they bring back good memories for you, you might want to take a minute and check this out…believe it or not, there is a HAPPY HOLLISTERS WEBSITE! What a blast from the past! There’s more information about the books, the stories, the author, paperback reprints, and some really cool retro t-shirts that I may actually have to order myself! 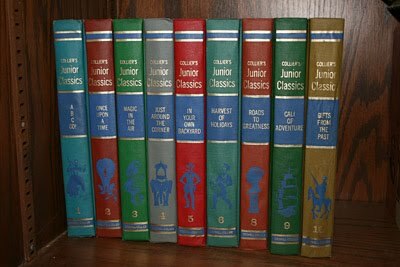 I suppose, most importantly for me, these books were my gateway drug. Before I knew it, I was doing mysteries of all types and finding that I couldn’t get enough.